Entitled A Hope, Prayer, and a Dream, Laura Corley-Burlton and Marti Corn have curated an exhibit including the works 60 photographers. These artists belong to shootapalooza, a community of photographers whose focus is placed on alternative processes and sharing ideas. The theme, A Hope, Prayer, and a Dream was derived from the desire to reflect our emotions revolving around the unrest and chaos that is raging throughout the world today. 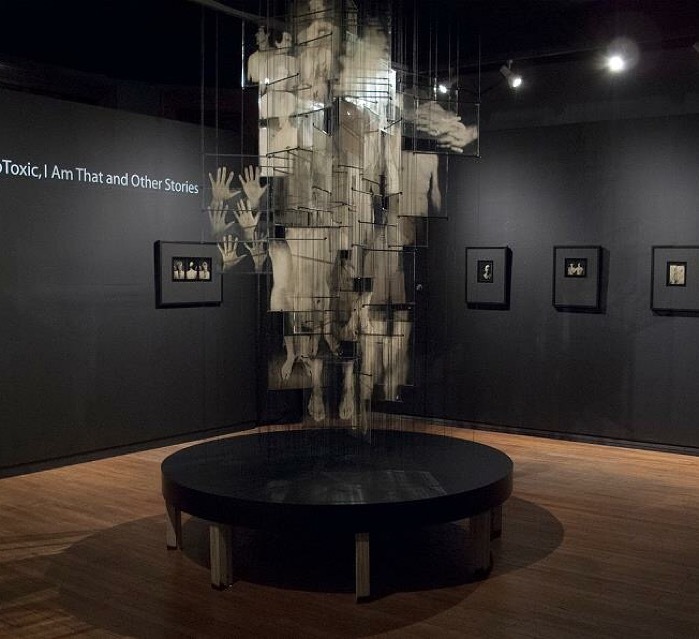 The exhibit offers two walls, including one that is 84 feet long, that are wheat pasted with 131 images as well as storefront windows filled with cyanotype prayer flags and other installations including the works of Corley-Burlton and Corn. This installation is hosted by Main Street Projects, an alternative art venue for site-specific art installations in Mid Main Houston, located in the 3600 Block of Main Street. Five percent of sales from the local businesses during the opening reception on March 3 will benefit the Houston Center for Photography. This exhibit will be on display throughout FotoFest and will remain on display through the end of April 2016. To learn more about these photographers please visit their sites by clicking on their names. To learn more about shootapalooza please visit, A Community of Photographers.